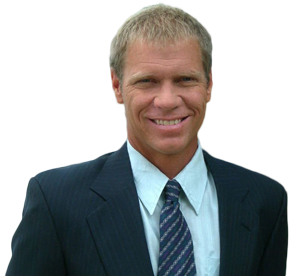 Since becoming a Real Estate professional, I have quickly risen to the top of the field of Realtors in Brevard County. I strive to provide a high level of service without putting any pressure on anyone to do anything ! Let me showcase to you my deep understanding of the market, the buying and selling process and the area I’ve explored for the past 40+ years. These are just a couple of the reasons that have me consistently in the top 1% of the top 1% of agents in Brevard County personally managing over 700 transactions and over $280 million in closed sales. Please contact me to today to discuss what your goals are pertaining to real estate. I promise to give you my full attention and nothing but accurate, honest info.Thanks !! We just closed on the sale of our property today. David Settgast was our realtor. He was exceptional from beginning to end and helped keep us positive when I started to panic. It took almost a year to sell our house, and David took over from another realtor in October. I just wanted to let you know how valuable David is and we will recommend him to anyone who needs a realtor. We feel like we made a new friend. Thanks Again! I have bought and sold a lot of properties in my life, but Dave is the best realtor I have ever used bar none! He had my house under contract in a matter of weeks, along with a signed back up contract. Having the right realtor can make all the difference, so if you want your property sold call Dave. He’s a true professional, and you won't be disappointed. We both purchased and sold property through Dave. He was very professional, informative, and helpful in both instances. He truly works for the buyer and the seller. He had helpful suggestions to enable us to be a better buyer and seller. I would highly recommend him for your real estate needs. We now know why he is salesman of the year for so many years. Dave is very knowledgeable and professional. He worked countless hours to help me find the perfect vacation home. His guidance through the inspection process was invaluable, and his negotiation skills insured a successful closing on my home purchase. After closing, the seller admiringly commented on how often Dave visited the house in my absence to check on the progress of repair work. I could not have done this without him! Dave is a true real estate professional. He is helping us locate a property in Melbourne Beach, Fla. His knowledge of the area and pleasant disposition are making this interaction extremely enjoyable. Dave has actually helped us as buyers and sellers on separate transactions. Dave has always responded to our messages promptly and has operated with the utmost professionalism. He has a unique ability to bring up pro/cons that you may have not thought of before, and he seemed to be able to “read” what we were looking for when buying as well as selling. Dave also has the unique ability to challenge assumptions in a non-threatening manner. We would utilize his services again.